Made from the tons of rice hulls that are discarded after rice production. These hulls are then burned, creating White Rice Hull Ash. Spills are immediately wicked into suspension which means less mixing, easier cleanup, and faster spill containment. Save time. Save money. Absorbs 1:1 by volume. 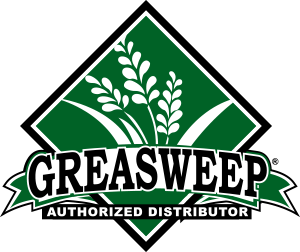 22 lbs of Greasweep® absorbs 7.5 gallons of liquid! A similarly sized 50 lb bag of clay only absorbs 3.8 gallons! Picks up oil and holds it in suspension. Adding water will not release the oil. Instead the water will pass through, remaining clear.